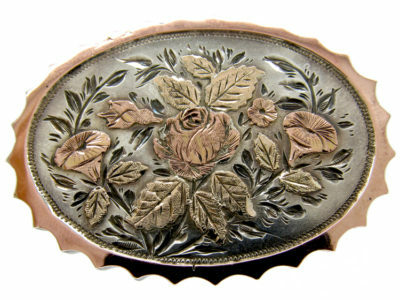 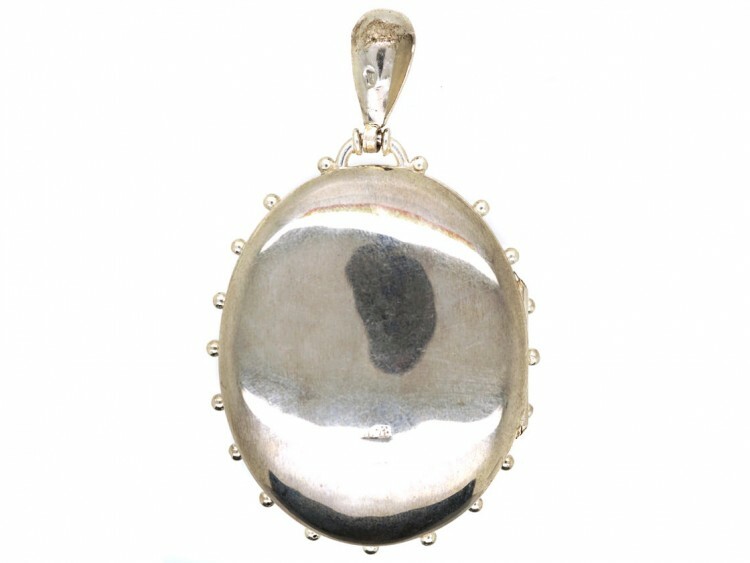 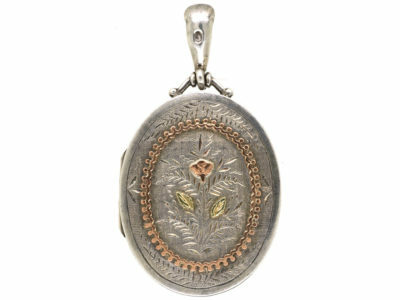 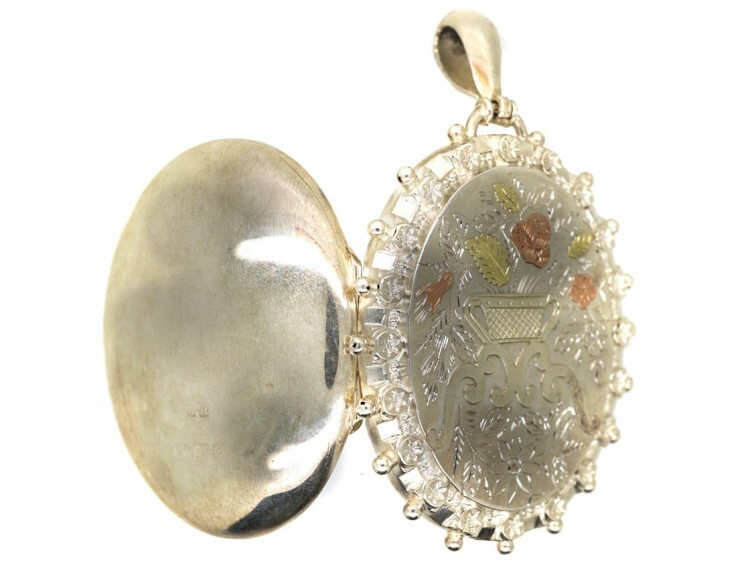 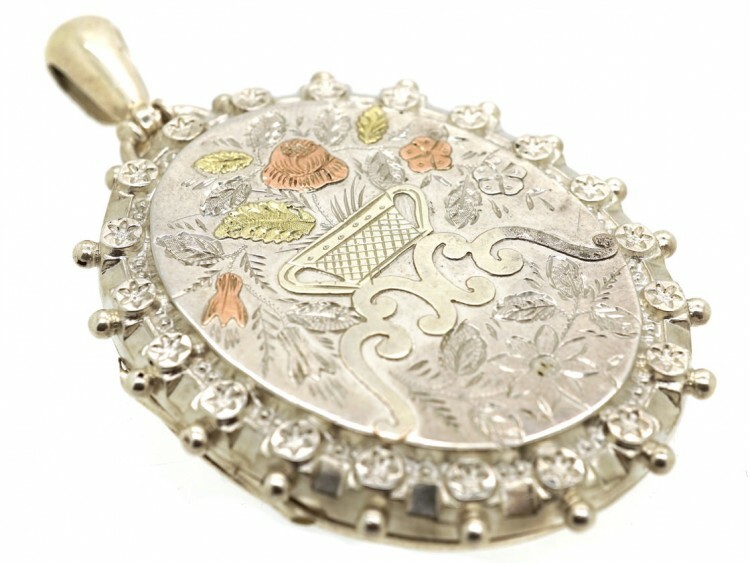 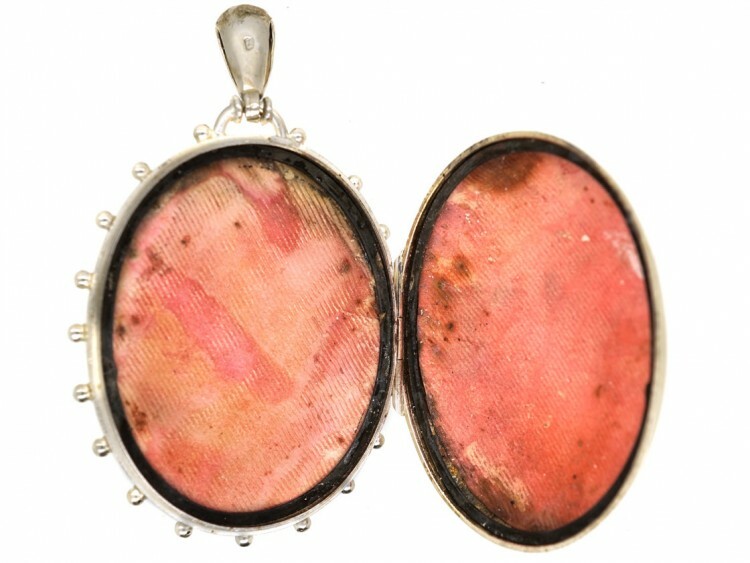 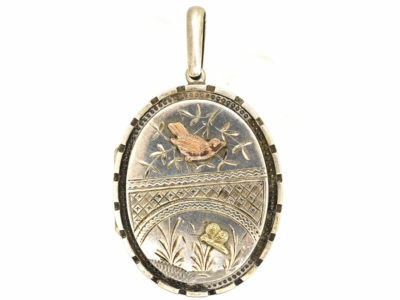 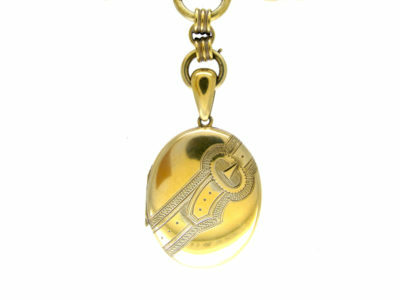 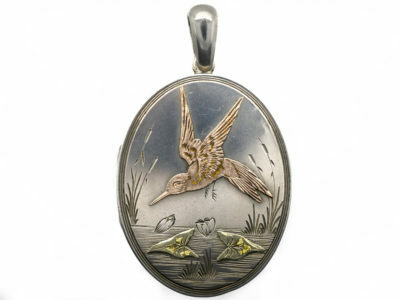 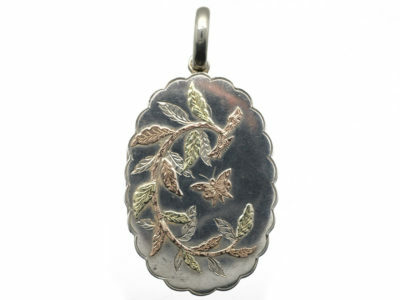 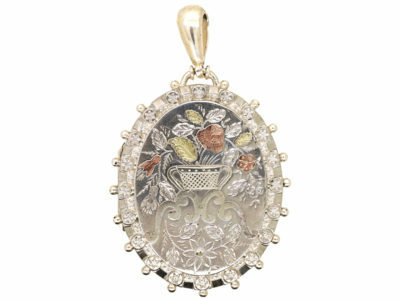 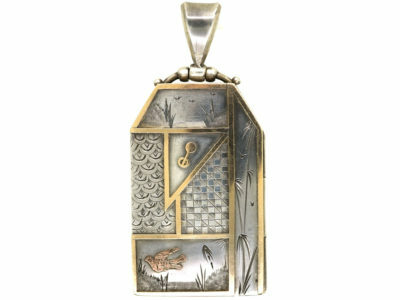 A lovely Victorian silver locket engraved with a basket of flowers. 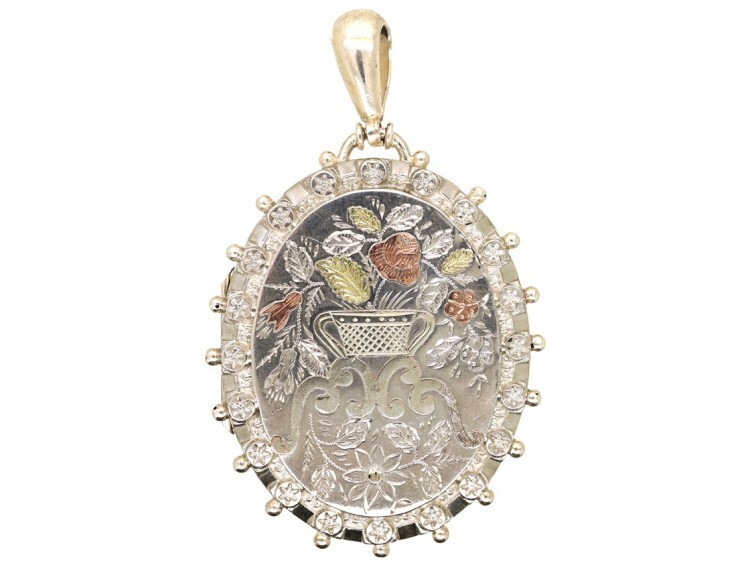 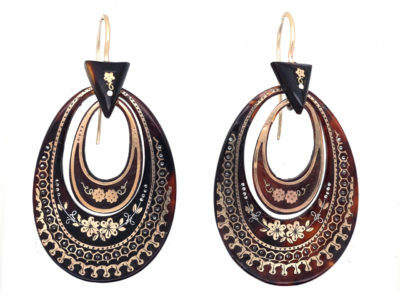 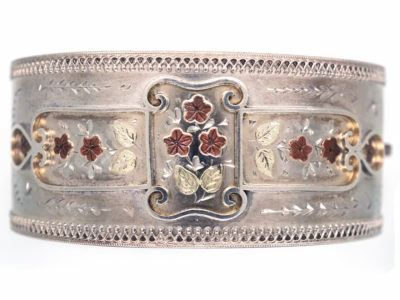 The flowers are overlaid with rose gold and the leaves are yellow gold. 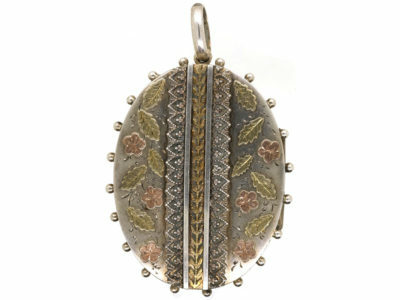 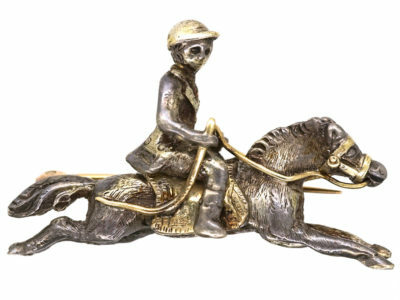 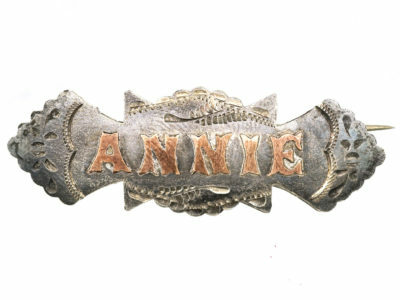 The outside edge is a bobble design which you find a lot in the Victorian period.